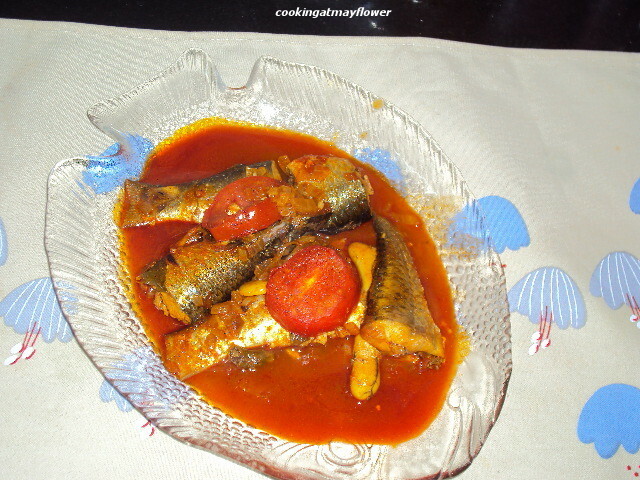 Cooking at Mayflower: Mullet ( kanambu ) fish in tomato gravy . 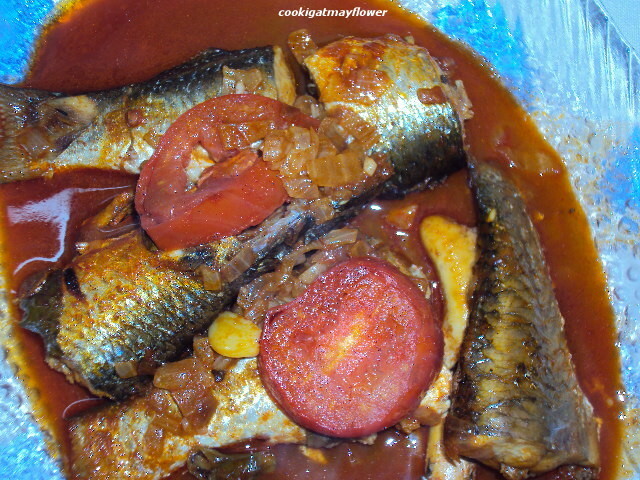 Mullet ( kanambu ) fish in tomato gravy . We get fresh kanambu / Mullet in Fort Kochi, which is really tasty. I got fresh kanambu today, so prepared this recipe my style. Heat oil in an earthen pot. Add chopped onion, green chillies, ginger, garlic and curry leaves. Saute well. When onion turns translucent, add chilli powder, turmeric powder and fenugreek powder on low flame.When the raw smell disappears, add some water ( add water according to your desired consistency) and when it boils, add fish pieces, vinegar and salt and cook for 5-8 minutes closing the lid. Open the lid, add tomato pieces and cook for 5 more minutes in low flame. when the gravy thickens, turn off the stove . Serve hot with rice.